Hezbollah has to keep making life difficult for everyone. 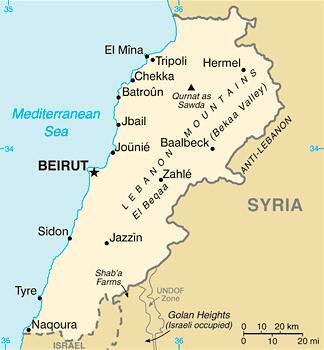 I knew they hate the United “Great Satan” of America, as well as the “Occupied” State of Israel, but they must really have a grudge against the people of Lebanon. What other explanation could there be for quitting the Lebanese coalition government like a first term Alaskan governor? I’ve got an explanation. They were involved in having the country’s former Prime Minister murdered and are about to pay the piper. The late Rafik Hariri was killed in February of 2005 when explosives were detonated as his motorcade drove down the streets of Beirut. It has long been speculated that Hezbollah and their Syrian puppeteers coordinated the political assassination. The murder resulted in a wave of political change in Lebanon that resulted in occupying Syrian forces being sent packing all the way back to Damascus. A UN-backed tribunal into the killing is expected to announce their findings shortly and it has Hezbollah shaking in their sandals. The organizations leader, Hassan Nasrallah, has asked current Lebanese Prime Minster (the son of Rafik Hariri) to denounce the tribunal as an Israeli/American conspiracy, but the younger Hariri has refused. The tension has been building in Lebanon over the tribune and nobody is sure what will happen. Gabi Ashkenazi, current Chief of Staff of the Israeli Defense Forces, has speculated that although unlikely, the pressure from the reports could encourage Hezbollah to step up their attacks against Israel in order to draw attention away from the findings and win some public support. Observers have long speculated that the Iranian-funded Lebanese organization could respond by boycotting the current coalition government (as they’ve opted to do) or to launch a full-scale coup d’état. The stink they’ve thrown over a report that hasn’t even announced its findings does not exactly prove their innocence before the eyes of the world community. Given the regional ramifications attacking Israel would cause, they would need the approval of their Iranian masters to launch such an operation. Regardless of what the tribunal announces, or how things play out, it is fair to speculate at this time that the collapse of the Lebanese government is only the beginning.